Dan is Vice-President and co-founder of Progressive O&P, Inc., since its incorporation in 1999. He is an above-knee amputee since 1989 and became a prosthetist in 1993. Dan has been an American Board Certified Prosthetist since 1996; he earned his Bachelor of Science degree in Computer Science from Marist College in 1987. 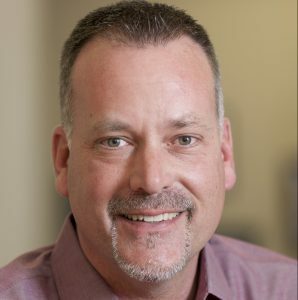 Dan is Progressive O&P’s Upper-Extremity prosthetics specialist; he is certified in all aspects of myoelectric prostheses, including MyoBock™, SensorHand™, Dynamic Arm™, I-Limb™, and Utah Arm™. He is certified to fit C-Leg™ and Rheo™ microprocessor-controlled prosthetic knee technology, Harmony™ and LimbLogic™ elevated vacuum prosthetic socket systems and Proprio™ microprocessor-controlled foot technology. Dan Bastian is a member of the Amputee Coalition of America, the American Academy of Orthotists and Prosthetists, the National Amputee Golf Association (life member), and the Disabled Sports Association. Please click on our “Meet An Amputee” section to learn how Dan’s experience as an amputee helps Progressive O&P to better serve our patients.